Geneva – Ambassador William Lacy Swing, Director General of IOM, the United Nations Migration Agency, is making an urgent call for “Safe Migration for a World on the Move” as International Migrants Day approaches on Monday, 18 December 2017. 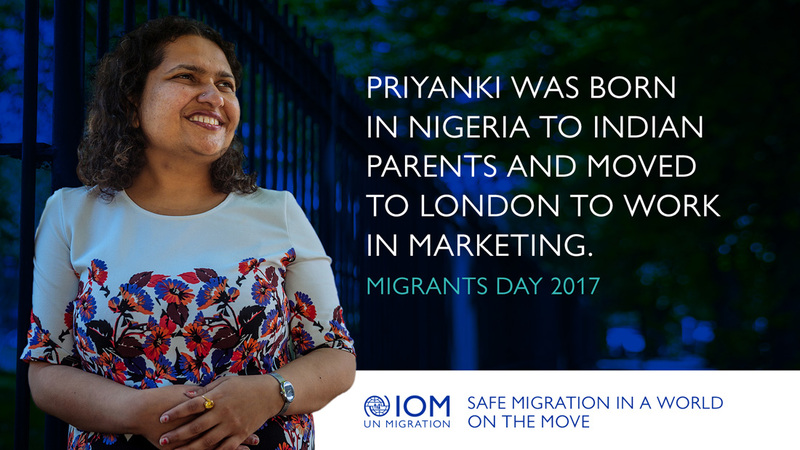 The Organization will mark International Migrants Day (IMD) with a series of worldwide events including a Geneva award ceremony for the Global Migration Film Festival. The festival, in its second year, includes many public and private sector partners participating with IOM missions in over 100 countries. In addition to film screenings in Geneva and New York, IOM will participate in a UN leadership debate featuring United Nations Secretary-General Antonio Guterres at Manhattan’s UNICEF House, touching on the global compact on migration. The compact is expected to be adopted by the end of 2018, once negotiations by UN member states are concluded. The UN leadership debate will explore the common ground on migration, rather than the divisions, DG Swing said. Despite often sharp rhetoric, migration is less a problem to be solved than a human reality to be managed, he explained. UNICEF House events also will include the New York opening of the critically acclaimed art installation UNPACKED: Refugee Baggage (for details see www.Together-in-NY.org). This powerful exhibition brings to life stories of refugees who have settled in the US by exploring past traumas through three-dimensional models of their homes mounted on suitcases they carried on their journeys. In a particularly gripping installation, visitors can explore the bombed home of one refugee family through a virtual reality visualization. IOM also will be launching a podcast series, TOGETHER: Personal Stories of Migrants and Refugees, hosted by 19-year-old Iraqi-American refugee Ahmed Badr, who, along with his family, was resettled in the US by IOM at a young age. The podcast, along with a new mobile app, shares compelling human stories of migration through thoughtful, revealing interviews with young migrants and refugees in the US. The podcast’s first four shows will be available on iTunes and other leading platforms. Ahmed, who was 7 years old when a bomb smashed into his family's house in Baghdad, speaks in the series’ first two instalments with his parents and sister, Maryam, who tell his family’s extraordinary story. In subsequent episodes, Ahmed interviews other young refugees and migrants. The podcasts are part of the UN TOGETHER initiative to encourage better understanding of migrant and refugee issues through the power of social media. DG Swing will be in New York throughout Monday’s busy schedule and will be available for media interviews.